Fullcover water cooler for NVIDIA RTX 2080 Ti and Titan RTX graphics cards according to reference design, compatible with SLI NVLink bridges. 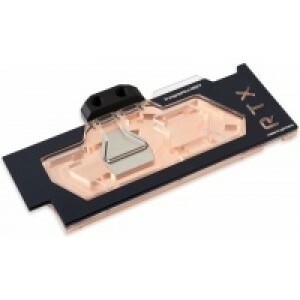 Full cover water block for NVIDIA RTX 2080 Ti and Titan RTX graphics cards according to reference design, compatible with SLI NVLink bridges. Manufactured from a massive block of copper, the base of the water block covers the whole graphics card and contacts all relevant heat sources. In the GPU area, a jet plate made from stainless steel assures maximum cooling performance, while wide coolant channels in other areas guarantee minimum flow resistance. The top is manufactured from acrylic glass, reinforced by a black anodized aluminum frame. Fifteen individually addressable RGBpx LEDs are integrated into the water block and can be connected to an Aqua Computer device with RGBpx output or to a motherboard with a compatible output. - Mirror finish for relevant contact areas. - Direct contact to GPU and RAM, high quality thermal pad included for further components such as voltage regulators. 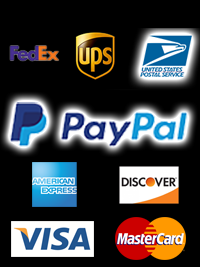 - All mounting threads are equipped with metal spacers for easy installation. - Inlet and outlets ports with G1/4 thread, can be used from both sides. Two sealing screws included. - Full compatibility to kryographics connection terminals with VISION module and kryoconnect SLI connectors.